This house looks like the true home of Christmas. With its walls and garden smothered in over 50 light fittings and in excess of 25,000 bulbs it really does light up like a Christmas tree. 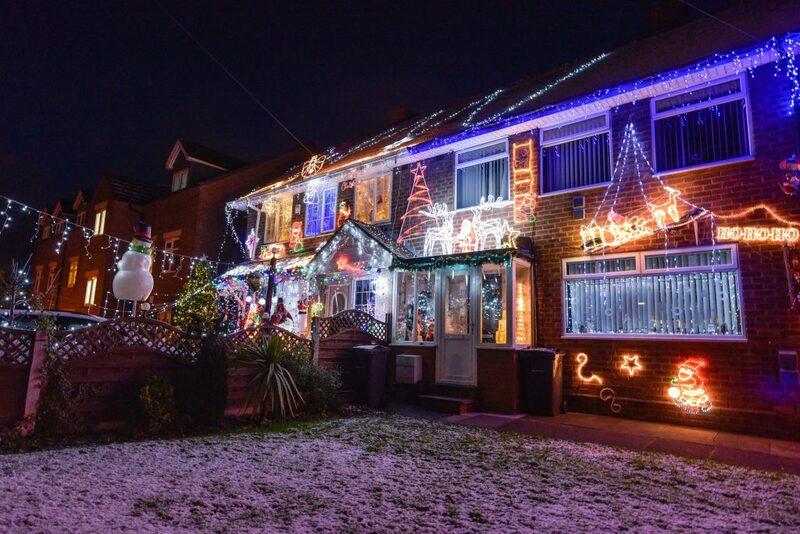 Stephen Craven, 18, began decorating his very own winter wonderland in Birmingham in September and finally had his big switch on two months later. This is his third, and largest, display and has cost him a grand total of £7,000, and that’s before the electricity costs are included. 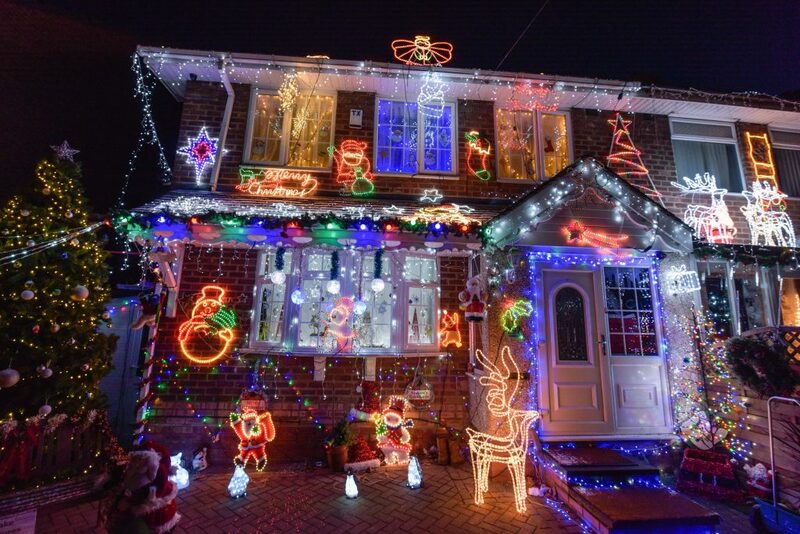 The rubbish removal worker was inspired to light up his house three years ago after his mum Amy suffered a stroke, and he hangs a donation bucket at the front of his garden for admirers to give to the Stroke Association. His efforts have been greatly appreciated, with Stephen raising over £1,000 already this year. He said: “I love putting the display together. It takes a lot of work over several weekends, and I have to get some help doing the roof, but when we had the big switch on it looked great. I was really pleased with the result when I got to stand back and admire it. “There are over 25,000 individual bulbs over the walls and the front garden, so it really does stand out. I know I go overboard, but I don’t think there is a house around here that matches it. “Putting the lights up has become a passion, and it’s great to see people enjoying them. So many people stop and stare, or even come round especially to look at them. “The best bit is when people put money in the donation box when they have come to see the lights. That’s always good, and I know all the money is going to a good place. “The reason I chose the Stroke Association and the lights is that my mum had a stroke three years ago. Stephen has been planning the display all year, and started looking for new lights and deciding where to place them back in January. 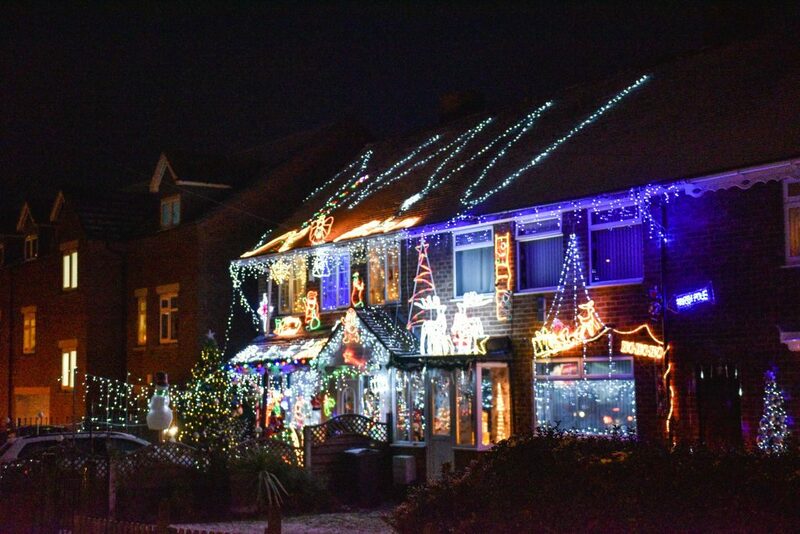 After finding space for all the lights and the 65 plug sockets he needed, he began putting them up, with a few odd looks from neighbours, on September 17. He then held his big switch as soon as dark fell on November 17, and ever since has watched up to 100 people per night come to admire his handiwork. Stephen said: “I think about the lights all year round. There really is a lot of planning that goes into it. “I’ll have it all sketched out before I start putting the lights up on September. “Of course you get some funny looks when you’re putting reindeer lights outside your house then, but the neighbours are more used to it now and it’s entirely worth it. “They’ll be on until January 1, and then I’ll spend a couple of weeks taking it all down and packing it all away again for next year. I’ll probably end up buying more lights in 2018 as well – there is still some space to fill. Teen shows off her prosthetic for first time in stunning model shoot.